Although this deadliest form of skin cancer is more common in Caucasians, melanoma survival rates may be lower in darker-skinned individuals, a new study finds. 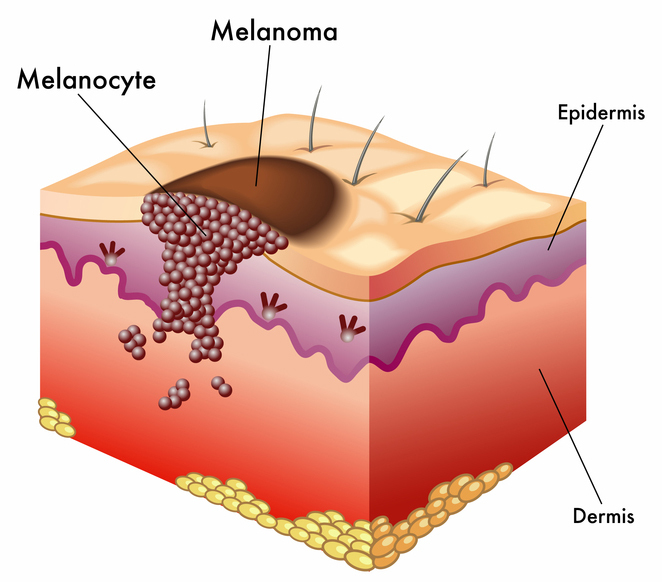 Here, we describe melanoma’s causes and symptoms along with treatment suggestions. Keep in mind the "A-B-C-D-E" of moles on your skin: Asymmetry, Border, Color, Diameter, and Evolution. See lead story for details. People with fair complexions, red hair, blue eyes, and freckles typically are considered to be at greater risk of skin cancer than their darker-skinned counterparts. Research has shown that melanomas and other skin cancers occur more commonly in Caucasians than in other racial groups. However, a new study suggests that African-Americans and other people of color not only aren’t immune to developing melanomas, but they also may be more likely to die from them. Melanomas are the most lethal type of skin cancer, albeit the least common form. 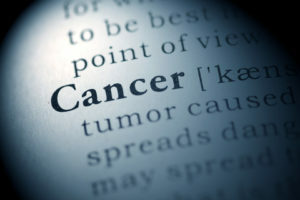 The cancer affects the skin’s pigment cells, or melanocytes, and from there it can spread to the lungs and other organs. Once the cancer spreads, it can be deadly. People with darker complexions produce more of the pigment melanin, which protects the skin. Consequently, people of color often have the misconception that they’re not at risk of skin cancer, according to the Skin Cancer Foundation. 1. Wear sunscreen with a sun protection factor (SPF) of 40 to 50. Apply sunscreen a half-hour before you go outdoors, and reapply it every two hours that you’re outside, or more frequently if you’re in the water. If your hair is thinning, use a sunscreen spray or liquid to protect your scalp. 2. As much as possible, wear long-sleeved shirts and pants while working or playing outdoors. Wear a wide-brimmed hat that covers your face, ears, and the back of your neck. Look for sun-protective clothing that provides an SPF of 15 to 100. 3. Avoid outdoor activities between 11 a.m. and 3 p.m., when the sun’s UV radiation is at its greatest. 4. Wear sunglasses with a UV coating, and make sure the label states that they block 99 to 100 percent of UV rays. 5. Stay away from tanning beds and sunlamps. Caucasian patients had the highest incidence of melanomas but the best survival rate, followed by Hispanics and patients in the Asian American/Native American/Pacific Islander group, the study found. African Americans had the lowest melanoma survival rates and were significantly more likely than Caucasians to be diagnosed with later-stage melanomas, the researchers reported. The reasons for the disparities are unclear, although Dr. Bordeaux noted that one potential explanation is that patients with skin of color may not believe that irregular spots on their skin pose a threat, so they don’t seek medical attention. Melanomas develop in the clusters of melanocytes we know as moles. Although most skin cancers occur in the sun-exposed areas of the skin, such as the face, arms, and the backs of the neck and hands, they can form on almost any area of the body. Experts generally recommend performing skin self-exams at least every one to three months to check for skin cancer. Do the exam in a well-lit room. Remove all your clothing, and use a full-length mirror to inspect your skin from head to toe, as well as a hand-held mirror to view difficult-to-see areas. Or, better yet, have your spouse or partner help you examine your skin. A: Asymmetry—The shape of one-half of the mole is different from the other. B: Border—The edges of the mole are usually ragged, blurred, or irregular, and the pigment may spread into the surrounding skin. C: Color—The mole is unevenly colored; it could be shades of black, brown, tan, white, gray, red, or blue. E: Evolution—The mole or lesion is evolving—changing in size, shape, or color. Melanomas also may appear as redness or swelling outside the border of the mole or lesion, a non-healing sore, or a bleeding or oozing lesion. In some cases, a bump or nodule may form on the mole or lesion. basal cell, basal cell carcinoma, basal cell carcinoma symptoms, can you die from skin cancer, cancer, cancer affects, cancer prevention, cancers, carcinoma, ears, health, health news, melanin, melanocytes, melanoma, melanoma stages, melanoma survival rates, melanomas, music, nodular melanoma, radiation, skin, skin cancer, skin cancer prevention, university health news.